This book contains the abstracts of the 231 papers from 29 countries scheduled for presentation at the first International Conference on Bridge Maintenance, Safety and Management, IABMAS’02, held in Barcelona, Spain, July 14-17, 2002. The full-length papers are included in CD-ROM proceedings. All major aspects of bridge maintenance , safety and management are addressed including assessment and evaluation, bridge codes, bridge diagnostics, bridge management systems, durability, deterioration modelling, emerging technologies, field testing, financial planning, health monitoring, high perfomance materials, inspection, loads, maintenance strategies, new technical and material concepts, nondestructive testing, rehabilitation, reliability amd risk management, repair, replacement, sfety and serviceability, service life prediction, strengthening, and whole life costing, among others. This book and the strengthening, and whole life costing, among others. 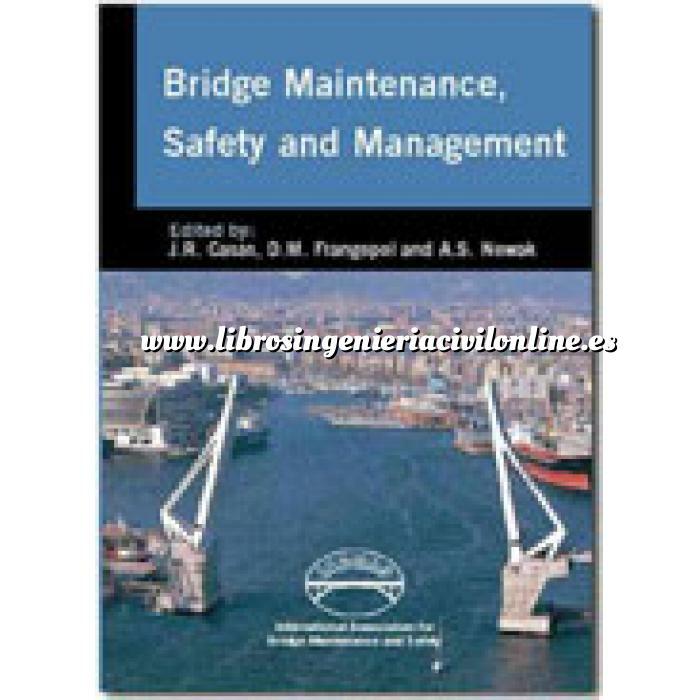 This book and the CD-ROM proceedings of IABMAS’02 are a valuable contribution to the process of making better and more rational decisions in bridge maintenance, safety and management for the purpose of enhancing the welfare of society.